The critical topic of responsible gambling will be front and centre of European gambling discussions on October 19, when the influential trade body European Gaming and Betting Association (EGBA) holds its Responsible Gaming Day in Brussels. With the European Parliament´s final vote on its draft Report on Online Gambling due in November, the event is expected to attract a substantial audience, bringing together EU and national officials, regulators, experts and academia, and stakeholders representing the broad spectrum of the European gaming industry and player representatives. The Report is widely expected to influence the European Commission´s follow up to the Green Paper consultation. Among the experts involved is Andrew Beveridge, Chief Executive of the independent player protection and industry standards organisation eCOGRA, who recently chaired the process to develop a CEN Workshop Agreement for Responsible Remote Gambling Measures (CWA 16259:2011). "Given the current interest by regulators, operators and other industry stakeholders in further developing common standards for player protection, this is an ideal time to reflect on the success of the CEN Workshop Agreement initiative, which involved over 30 participants from trade associations, licensing authorities, operators and leading academic experts on gambling behaviour," he said. Beveridge added that already this year over 30 tier one European operators and software suppliers, including the EGBA Members and eCOGRA Safe and Fair sealholders, have voluntarily elected to implement the 134 evidence-based measures developed by CEN aimed at ensuring player protection and responsible operator behaviour, and are being annually audited to demonstrate full compliance. Based on audit evidence and player feedback, it is evident that these measures are proving highly effective, and as the first Pan-European agreement aimed at providing a high level of player protection in the European Union, this will provide a valuable contribution to any further efforts to develop common standards. Joachim Haeusler, Responsible Gaming Manager at bwin.party digital entertainment, said that for the effective prevention of gambling-related problems it is important that operators use clearly defined measures and are audited regularly for compliance. "Being among the first operators to adopt the CWA 16259:2011 measures, bwin.party urges all responsible operators – private as well as state-owned – to adhere to clear player protection measures that are properly audited to ensure a safe gaming environment ," he said. Malcolm Harbour MEP, Conservative Chairman of the European Parliament of the internal market and consumer protection committee, added: "Our recently adopted report on online gambling has shown that there is a clear support for common standards for consumer protection at EU level. These are a positive step towards establishing a single market regime for responsible and safe gambling and they will benefit consumers, industry as well as the Single Market." Dr. Gerhard Bühringer, Professor for Addiction Research at the Technische Universität in Dresden said that the CWA 16259:2011 measures provide an important first step towards better protection of vulnerable gamblers and the prevention of underage gambling. He added that protection measures should be further discussed, and – in addition to external and independent regular audits for all public and private gambling opportunities – a scientific analysis and evaluation under everyday conditions is essential to determine the efficacy of all protection measures, as a basis for possible further improvements. Following the roundtable discussions, Tex Rees, who manages eCOGRA’s initiatives in responsible gambling and the organisation’s disputes mediation service, will be presenting a live demonstration of the internet tools that are available to identify and protect vulnerable players. Her demo will illustrate to delegates how the CWA 16259:2011 measures have been implemented by the EGBA Members, demonstrating how the measures work to ensure player protection and responsible operator behaviour, how the requirements are regularly audited, and the results of recent studies on the effectiveness of the measures. The Online Gambling Industry Moves On – But What About British Bingo? 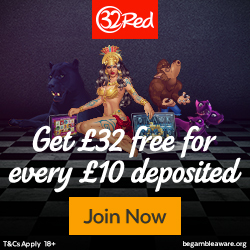 © Copyright 2008 - 2019 www.OnlineGamblingNews.org.uk. Powered by WordPress.